Cycling the Waterfront trail is about bicycle touring from the Niagara region of Ontario to the Quebec border, near Montreal. Riding along the Canadian shores of Lake Ontario and the St. Lawrence River takes you through the most historic and populated parts of the province of Ontario. and an additional 80 kilometers (50 miles) along the Route Verte in the province of Quebec to Montreal. About 30% of the bicycle tour is along designated trails and the remainder is along quiet residential streets and roads. Your bicycle touring starts on the Waterfront Trail at Fort George in Niagara-on-the Lake, the former capital of the province. If you have the time do explore this key fort from the War of 1812. 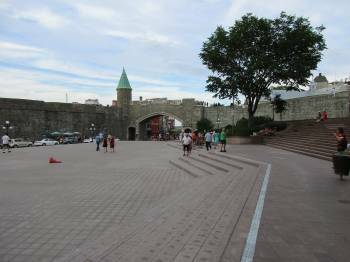 This historic town is a popular tourist town due to its summer theater, shops and proximately to Niagara Falls. Continue by bicycle touring along the shores of Lake Ontario where you pass vineyards and their accompanying boutique wineries, apple and peach orchards before crossing the Welland Canal. Your cycle tour then continues to the steel town of Hamilton. While this section to Toronto may be completed in one long day most people take two days to enjoy the area. As your Waterfront Trail bicycle tour approaches Oakville, home of the Ford Motor Company, you will see plenty of other day cyclists along the route into Toronto. Some sections are along quiet streets and at other times through lakeside parks where you need to watch picnickers with their kids running across the path. A good place for a coffee break is Port Credit where you cross the river on a bridge for cyclists. 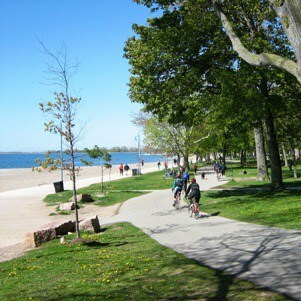 Cycling through the west end of the city of Toronto is along a paved bicycle path in waterfront parks but there are gaps in the city’s east end which are along residential streets. Linger in this great city and explore especially at the ferry docks where there is a statute of Jack Layton on a tandem bike, a politician, a good photo opportunity for you as well. Note: in 2014 and 2015 expect some construction in downtown Toronto on a new bike lane. Your bicycle touring along the Waterfront Trail in this area starts along residential streets and lakefront parks in Oshawa’s Durham Region but gradually continues along rural roads, still following the shores of Lake Ontario. Many small towns such as Port Hope which feature many historic building are worth a visit. You will begin to see apple orchards as your bicycle tour continues east and you reach Prince Edward County where vineyards and rural roads are bordered by lilacs. Continue along the Waterfront Trail and enter the historic city of Kingston be sure to stop at Old Fort Henry. You now are bicycle touring in the Thousand Island area on the St. Lawrence River bicycle trail. Connections may be made here with the Seaway Trail in the United States. Upper Canada Village is one of the major attractions in this area. At the Quebec border follow Route Verte (Green Route 5) for about 80 km into downtown Montreal. 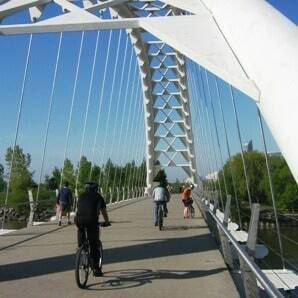 There are bicycle lanes on the bridges to Montreal so don’t worry about the traffic. Most of this section is along quiet residential streets of West Issand and paved bicycle paths including the Lachine Rapids section, Port of Montreal, Old Montreal all the way to Mont Royal and the end of your journey. 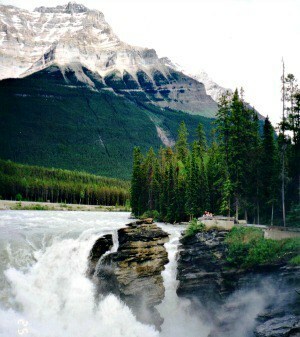 provides history, a wonderful variety of scenery and a look at both English and French Canadian regions.